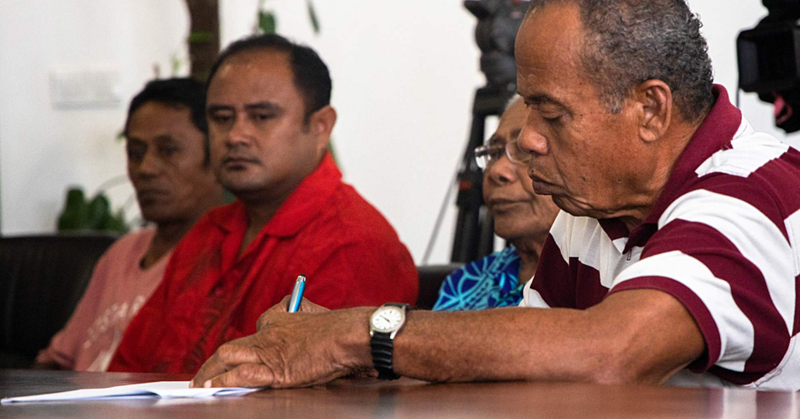 The Minister of Agriculture and Fisheries, La’aulialemalietoa Leuatea Schmidt, has signed two important documents to the development and management of Samoa’s tuna fisheries. The signing took place at the 13th Forum Fisheries Committee Ministerial Meeting in Port Vila, Vanuatu. 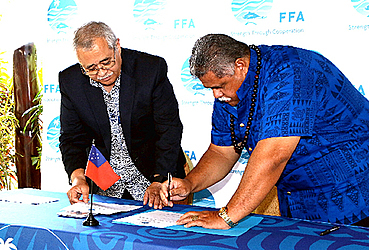 The Country Service Level Agreement (C.S.L.A) signed between the Pacific Island Forum Fisheries Agency (F.F.A) and Samoa secures a three year agreement on the services from the F.F.A to the Fisheries Division on the areas of fisheries governance and development for tuna fisheries. Samoa was one of the four F.F.A member countries to have completed the planning of these C.S.L.As and are now ready for roll out. For the F.F.A , the C.S.L.A is crucial in identifying member countries priorities which assist in their formulations of annual work plan and budget moreover the allocation of technical staff and resource to ensure timely and valuable support. 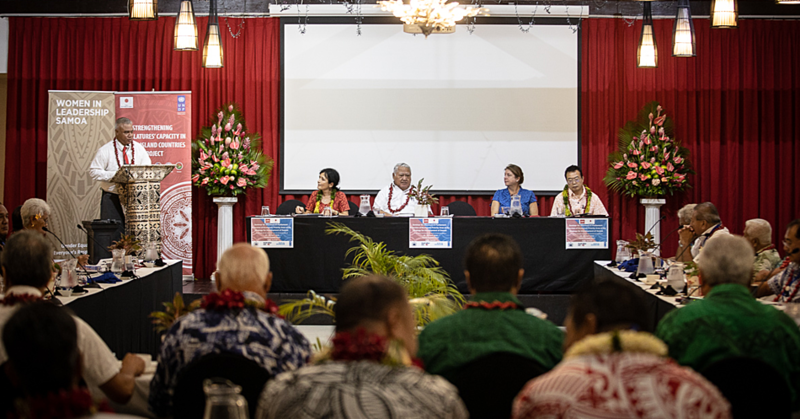 For Samoa, it is ensuring their national tuna fisheries development and management priorities receive the best policy and technical advise from F.F.A on a timely and efficient manner. It is a two-way agreement whereby the Fisheries Division also ensures that the work by the F.F.A is well supported. Minister La’auli thanked the Director General of the F.F.A for continuous assistance to Samoa and assured that the government is committed to the implementation of C.S.L.A. 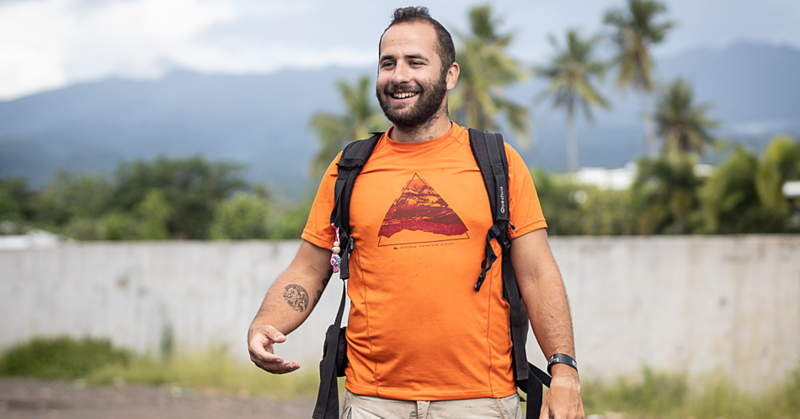 The second agreement is the Memorandum of Understanding between Samoa and Vanuatu, signifying collaborations of two states with Vanuatu as the flag state and Samoa as Coastal State in catch data verifications and certifications. Both countries strive to ensure proper fish catch documentations and verifications is shared and well documented by both States and hence the collaboration. Again both Ministers acknowledged the efforts by their fisheries officials and stress the importance of ongoing cooperation and collaboration to ensure proper and sound documentations of fishing operations and fish catches are upheld and maintained.